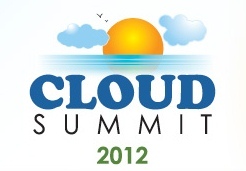 Cloud Summit 2012, set for November 8-9. The Cloud9 Cloud Summit 2012 is the exclusive conference for business owners, accounting professionals, legal practitioners, cloud users and alike to demo the latest technological advances in virtual solutions. This year’s event is the third annual Cloud Summit hosted by Cloud9 Real Time and is the only conference of its kind solely focused on Cloud solutions and technologies. Offering 18 CPE credits, Cloud Summit 2012 gives attendees a unique conference experience with educational sessions, user trainings, Vendor solutions and one on one practice evaluations. 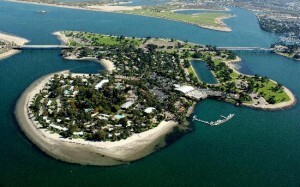 Held at a beautiful private 44-acre Island resort in San Diego, California the Summit allows attendees a retreat at Paradise Point with picturesque backdrops; a perfect environment to relax, get educated and stay informed. 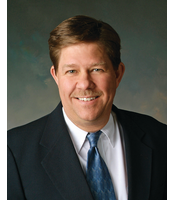 Cloud Summit 2012 features an all-star lineup of keynote speakers including Randy Johnston, Doug Sleeter, Chris Frederiksen and Robert J. Chandler. All of whom are award winning and recognized visionaries in the technology and accounting professions. Cloud9 Real Time CEO and President, Robert J. Chandler explains Cloud Summit 2012’s mission, “This year’s Cloud Summit is dedicated to providing more one-on-one time to attendees so that they can really learn how to implement, navigate and maximize Cloud solutions while customizing the products for their individual business. We are bringing together the top vendors and educators in the industry to ensure users have the resources for success.” Mr. Chandler will be doing a book signing at the Summit as well for his newly published Together in the Cloud. Attendees of Cloud Summit 2012 will have the opportunity to tour a SAS70 Type II Data Center with state of the art security systems, uninterrupted power supply, heating and cooling distribution as well as a 24×7 NOC. Registration begins May 21, 2012 with an Early Bird registration discount of $100 per attendee available thru July 31, 2012. For more information on the 2012 Cloud Summit please visit www.cloudsummit2012.com or contact Robert J. Chandler at (888) 869-0076.